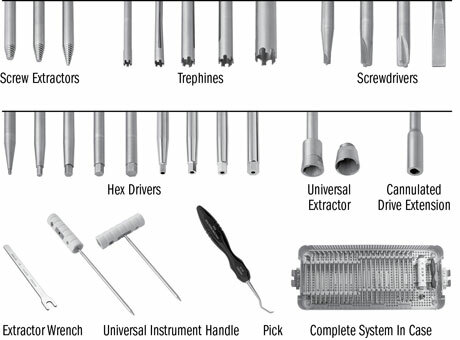 Repositionable silicone grip handles are available for use with the long version of the Atlatl, and are removable for sterilization. 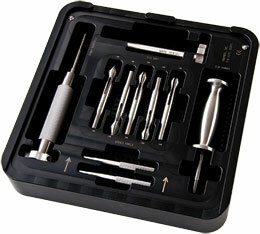 Includes (2) 3924-RH Silicone Grip Handles. 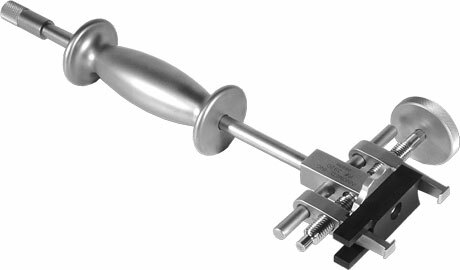 Slap hammer rod not included. 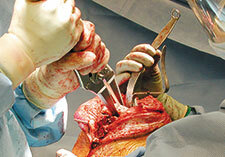 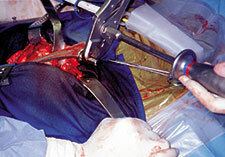 Helpful in removing trial, femoral and revision total knee components. 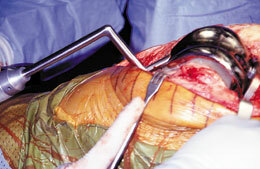 The flange end fits into the flange of a femoral knee component or trial. 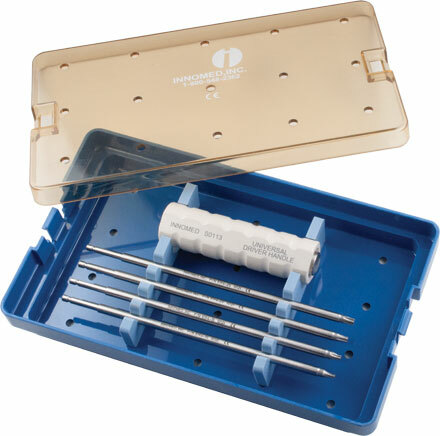 The textured silicone hammer helps to reduce the shock forces on the surgeon's hand during extraction procedures, and helps the surgeon to maintain a solid grip and prevent the hand from slipping. 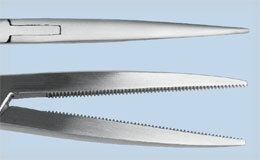 A standard set of jaws is used for slotted and unslotted femoral components. 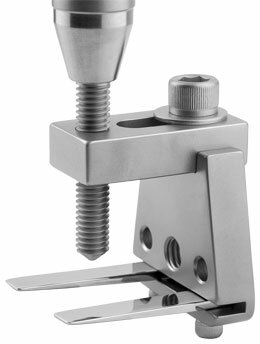 Features a round tightening wheel which allows the surgeon to easily tighten the jaws without using a separate socket wrench. 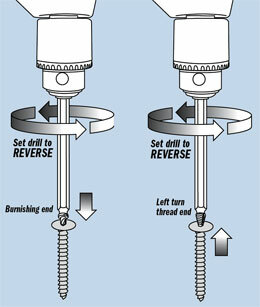 The tightening wheel can be easily removed for replacing the jaws. 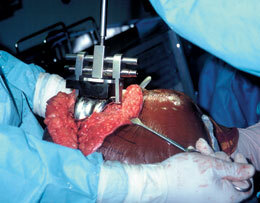 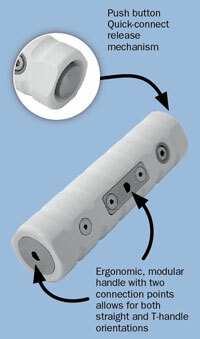 The copolymer prosthesis stabilizing block allows access to the block tightening wheel. 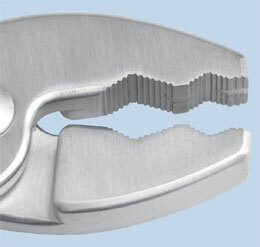 Includes standard slap hammer #3935. 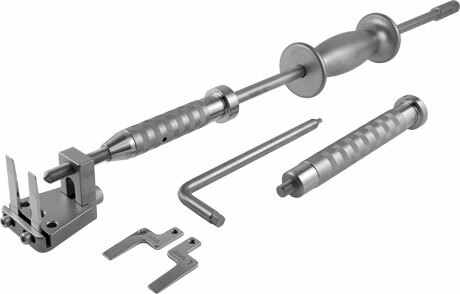 Designed to lock onto a tibial component and extract in line with the stem or pegs. 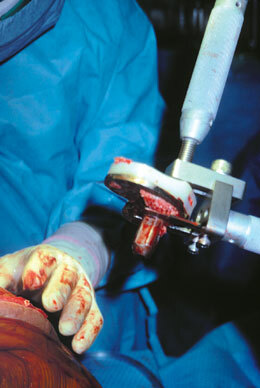 Two adjustable osteotomes are inserted on the underside of the component. 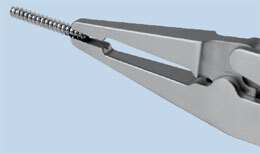 A locking screw clamps on to the top of the extractor to secure the component. 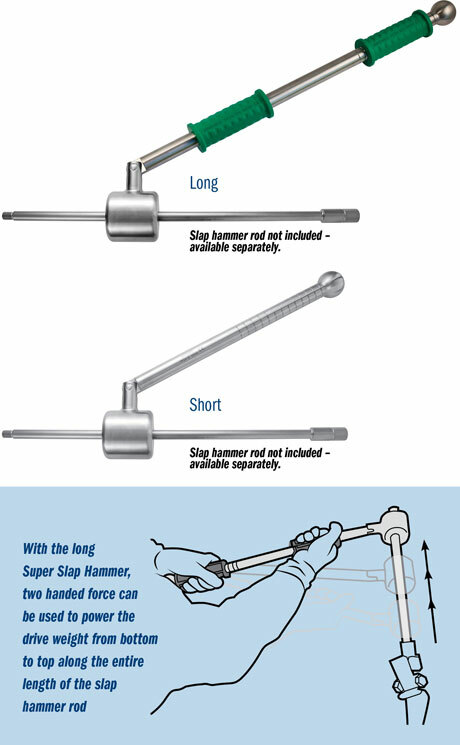 Includes standard slap hammer #3935.